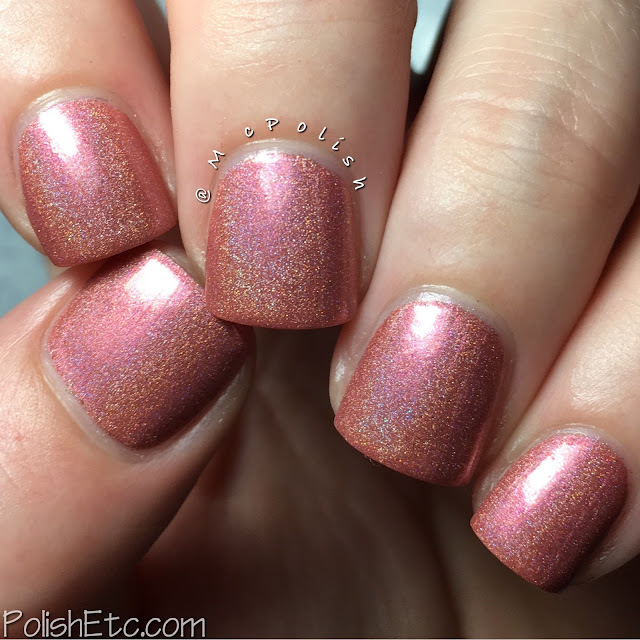 Fair Maiden Polish - June 2016 Exclusive Duo for Color4Nails - Polish Etc. 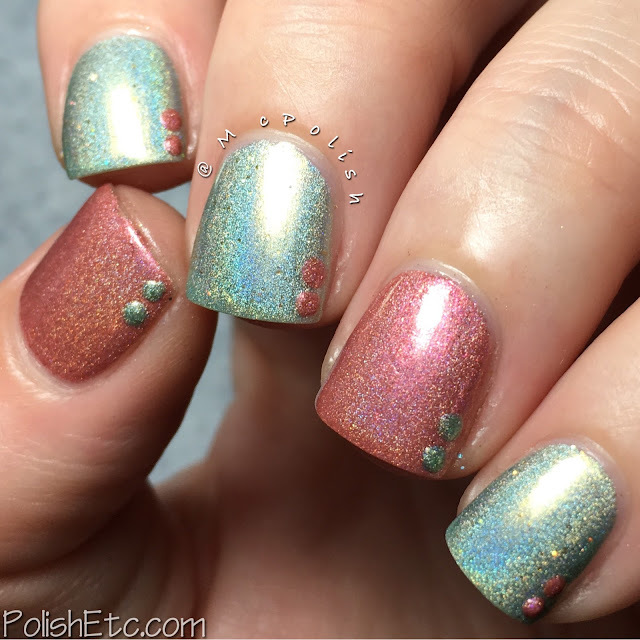 Today, I have two delicate holographic polishes from Fair Maiden Polish to share with you all. 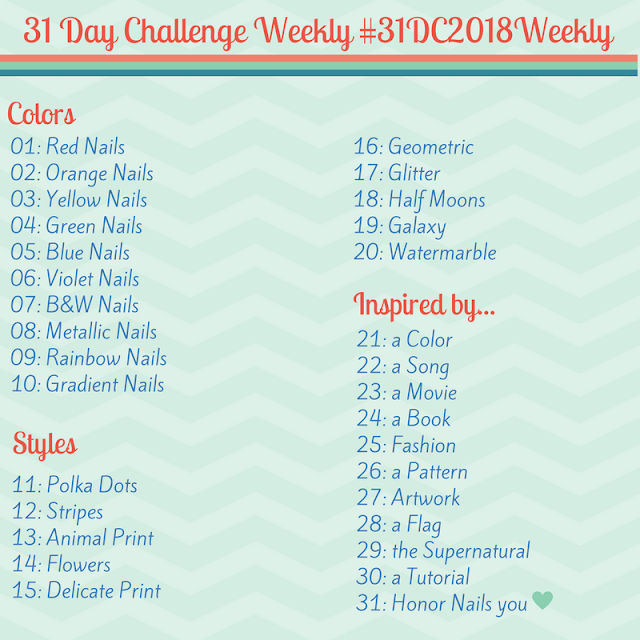 These two polishes are exclusive to Color4Nails which is my most favorite indie nail polish stockist. They also carry many other shades from Fair Maiden but you will only be able to get these two shades from C4N. Let's take a look at these two! Vintage Romance - A dusty pink toned red linear holographic polish with a sprinkling of tiny pink microshimmer. This polish definitely has a vintage feel to it. I would put this in the "Cool Grandma Shade" category. The formula was great and was completely opaque in two coats. Antique Charm - A pastel sage green holographic polish with teeny tiny holographic hexes sprinkled throughout. The linear holo effect is very strong in this polish and the blue flash is intense. It definitely gave the effect of shimmering patina which is the ultimate antique charm. The formula was good. A little sheer on the first coat but seemed to even out well on the second. These two Fair Maiden Polish exclusives will be launching on Color4Nails at 3pm PDT today. They retail for $12 each and will not be available anywhere else. Head over to the Color4Nails shop and snag these and a few more from the Fair Maiden line. 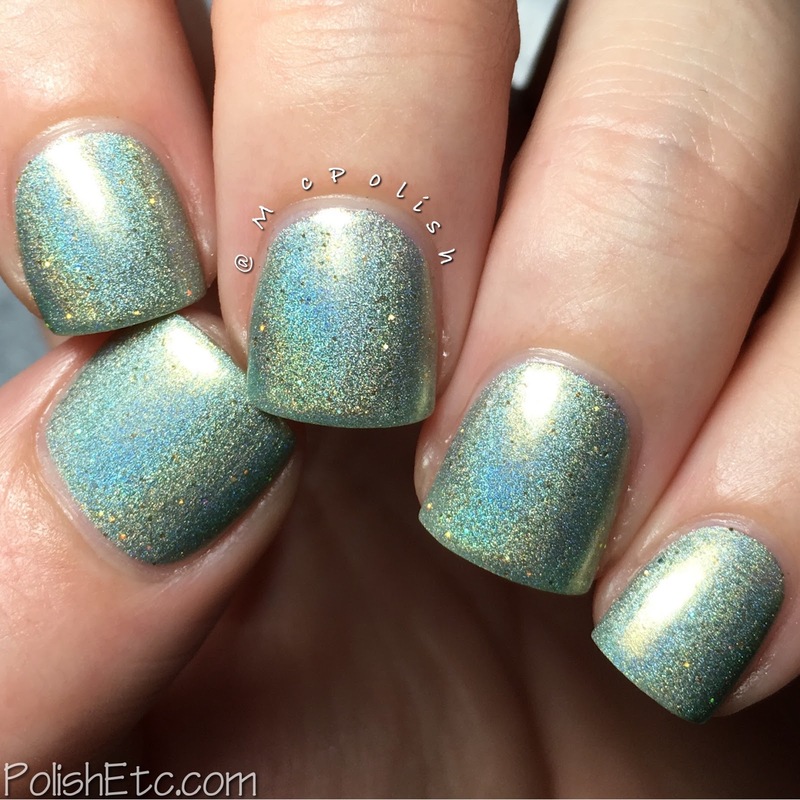 They have lots of pretty holos available. As always, Color4Nails has great shipping prices for all over the world. These two are so darling - especially together. :) Love them! I was worried it would come out too Christmasy but it looks great!